Hiring a car is the best way to get around Brisbane. 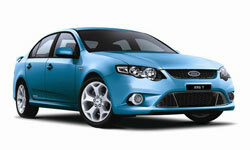 You can use the search form above to search for Thrifty car hire at Brisbane Airport. Simply enter in your required information and we'll do the hard work for you!